Zenwalk Linux 8 DVD (64-Bit) | Linux DVD Shop - UK Linux Shop supplying Linux on CD, DVD and USB with Free UK Delivery, 24Hr Dispatch. 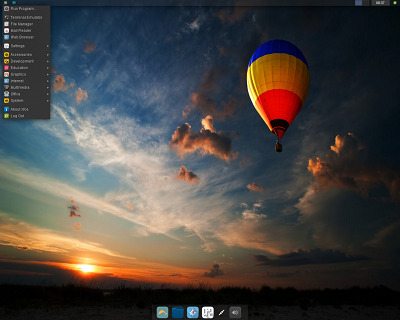 Zenwalk Linux 8 originally based on Slackware has developed into its own platform whilst maintaning compatibility with its Slackware's binary packages. Zenwalk aims to create a lightweight Linux operating system through the incorporation of the latest software available for a stable release. Zenwalk is a multi-purpose Linux distribution focused on Internet applications, multimedia and programming tools. Additionally, Zenwalk comes with many specialized tools, designed for beginners through to advanced users as it offers system configuration via both graphical and command-line operations. Zenwalk features stable software that is optimised for speed with rational selection of packages for each task. With a variety of uses available such as development, desktop and multimedia topped with a easy to use package system netpkg - Zenwalk is the complete distribution.